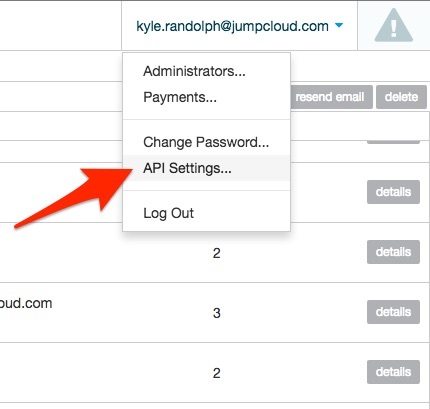 JumpCloud's Events API enables administrators to access and download data specific to events e.g., changes to your JumpCloud account, such as additions, deletions, modifications to objects or execution of operations under the control of JumpCloud. The primary use case for the Events API is to gain simple and efficient access to data logs which provide historical information utilized for compliance and auditing needs, as well as for forensics and analysis of security problems. What aspects of JumpCloud are covered by the Events API? What specific events are captured? The Multi-Tenant Organization API Header is available for JumpCloud Admins to use when making API requests from Organizations that have multiple managed organizations. 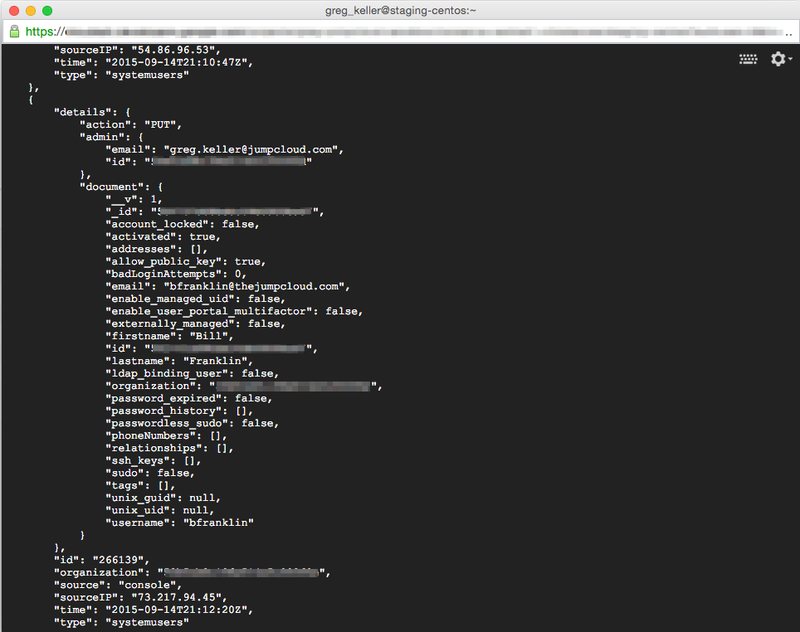 The x-org-id is a required header for all multi-tenant admins when making API requests to Jumpcloud as the header will define what organization you would like to make the request for. Please note that single tenant admins do no need to provide this header when making API requests. How much data is captured/stored by JumpCloud? JumpCloud will capture and store the most recent 45 days of event data for each customer. It is advised that customers schedule/automate GET requests to pull data on a weekly or bi-monthly basis along with your other data logging activities. NOTE: We suggest that Python is installed in order to make the json output more readable. Remove " | python -m json.tool" from the below examples if it is not present. $numberOfDays = '7' # Enter a number of days of logs to pull. Log times are in UTC. JumpCloud will produce well-formed, human-readable JSON to visually parse the data. For Linux, we recommend piping the GET request output through a beautifier tool like the Python json.tool to improve readability. The data can also be consumed by popular log analysis tools such as Splunk.